The Redondo Beach Chamber of Commerce held their annual Installation of Directors and Community Awards event Friday, June 15, 2018 at the Portofino Hotel & Marina, recognizing local leaders in the areas of community and business. Man and Woman of the Year, Ambassadors of the Year, Volunteer of the Year and City Employee of the Year. 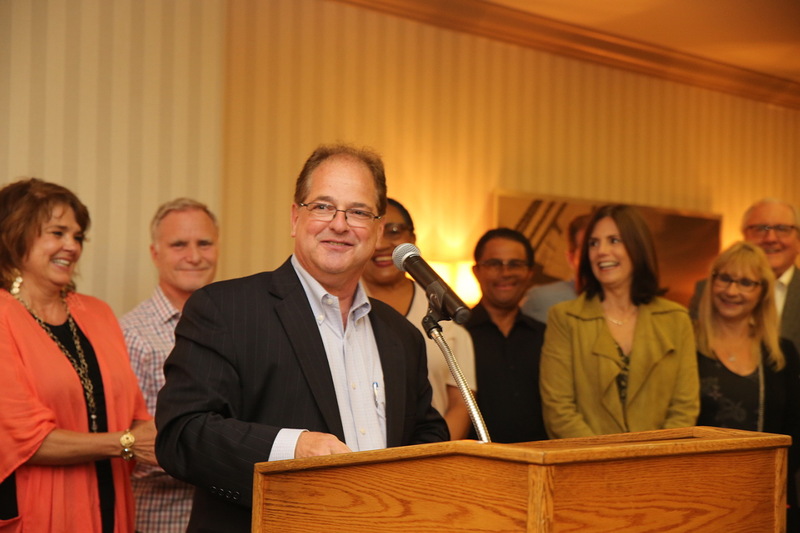 The Man of the Year award went to Steve Goldstein, founder of Payroll Management Solutions who acquired Apple One Payroll which combined makes it the largest independently owned payroll business service in Southern California. Music has always been an integral part of his life. He puts his heart into his songwriting and performing and his life would be empty without it. Our Man of the year has a loving wife Jennifer who is also a very active member in the community, three stepsons, 5 grandchildren and another one on the way. The Woman of the Year went to Lauren Nakano. Our Woman of the Year grew-up semi-locally. Her Father was born in Hawaii, but she was raised in San Pedro. Her heritage truly lives the “Ohana Spirit”– which means “family, nobody gets left behind.” She has 8 lucky nieces and nephews who get her time, attention and deep love ALWAYS. She is married to her true love and enjoys shopping and cooking together. In truth, she includes as family many friends she knew in pre-school. Yes, “nobody gets left behind.” She graduated from Long Beach State College and for the last 24 years, she has served the South Bay as a true pioneer in public health through her ongoing dedication to everything from programs like DARE to prevent drug use in children, homeless help programs, family programs, health and nutrition and so many more amazing programs. She is the face of the South Bay Blue Zones Team and is loved and admired by everyone who is lucky enough to know her. 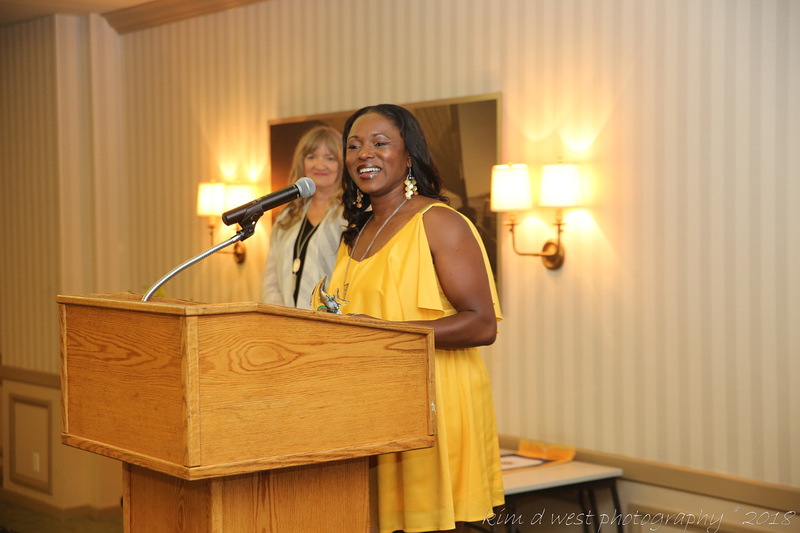 The Chamber Ambassador of the Year award was presented to two amazing Chamber members, Nadia Antii of Riviera Village Wealth Management and Tonya McKenzie of Sand & Shores. Both of this amazing Ambassadors have not only participated in numerous ribbon Cuttings, have made countless telephone calls, delivered many anniversary gifts and have the gift themselves, of helping to increase awareness of Chamber services at every step of the way. Between the two of them the Chamber has always great representation. Nadia is a financial advisor who has been in practice for over 10 years. Nadia has held financial positions with Fidelity Investments, Goldman Sachs, and Wells Fargo Advisors. Nadia moved to Redondo Beach in 2016. When not helping her clients, she enjoys exploring new restaurants, running on the beach in the early morning, and volunteering at worthwhile charity events. Tonya McKenzie is the founder of a non-profit, an author, a wife and mom to four children. She brings more than 20 years of experience in media relations, marketing, and client relations to Redondo Beach. Her non-profit experience includes being an Associate Executive Director, raising over a million dollars to open a new YMCA in Northern California, serving as an elected official as a Director for the Oakley Chamber of Commerce and leading a dynamic marketing team for a private club in Walnut Creek, CA. She devotes herself 110% percent to anything she commits to, she fully utilizes 24 hours of each day. Where she finds the time to accomplish so much is still a mystery. 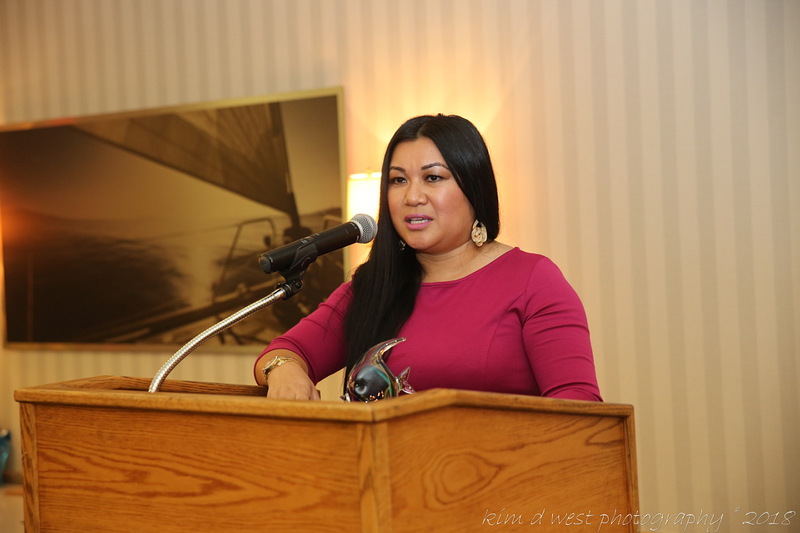 The Chamber volunteer of the Year award was presented to Sai Nanthavong, vice president relationship banking at First Foundation Bank. Sai has been member of our Chamber for 10 years, and has served on many committees. Sai is a Leadership Redondo Alum and Chamber ambassador. You will frequently see her friendly face at the numerous Chamber events she attends. And she provides welcome support whenever it is needed. 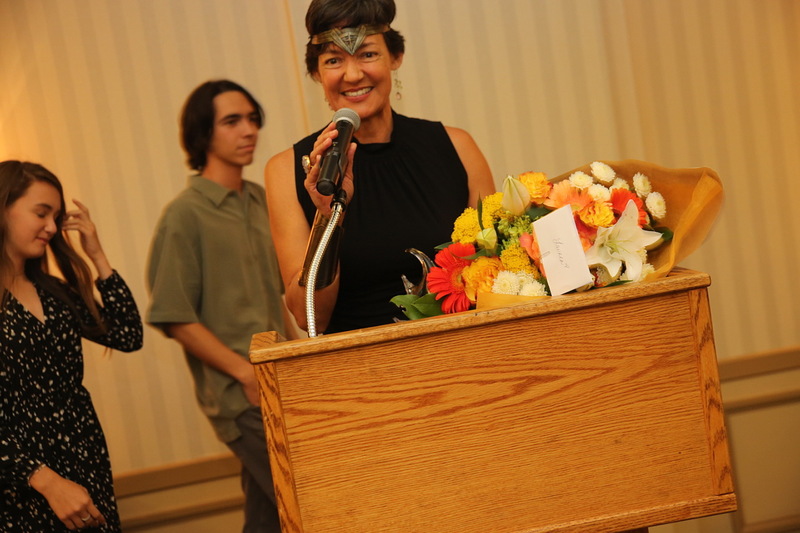 Her most active community role is as an executive board member for the South Bay Children’s Health Center. For many years, this person has been a strong advocate in bringing financial support through fundraising, marketing and strategic support and a voice for our youngest members of society. Sai is a native of Ohio having moved to California 11 years ago. However, she will tell you that she is an Ohio State Buckeye for life. She is a nature seeker with a passion to explore the various national parks. And when she isn’t traveling, she enjoys cooking for her friends and family. Sharing her Lao culture, love of food and life is what brings her the most joy. You know through her active social media posts, selfies and love of photography! She is the proud daughter of immigrant parents and a sister to two younger brothers. This year’s City Employee of the Year is Cheryl Park. Cheryl began her career in the City of Redondo Beach in August 1999. She has been practicing in her professional field for over 20 years and has extensive experience in both the private and public sector. Recently, an unexpected situation caused her to step into a high level crucial position which was filled with many unexpected challenges, twists and turns. But like everything she does, she handled it with the greatest of poise and calm. Her ability to take on new challenges is one of her biggest assets. She is full of energy and has an infectious sense of humor and she truly enjoys bringing joy to others. She serves as a perfect example of a person who is honest, humble and selfless. She genuinely is a servant leader who leads with her heart. On a personal note, she enjoys exercising, spending time with her son and family, and relaxing on vacations. But like all aspects of her life she is driven and most recently completed her first ½ marathon!